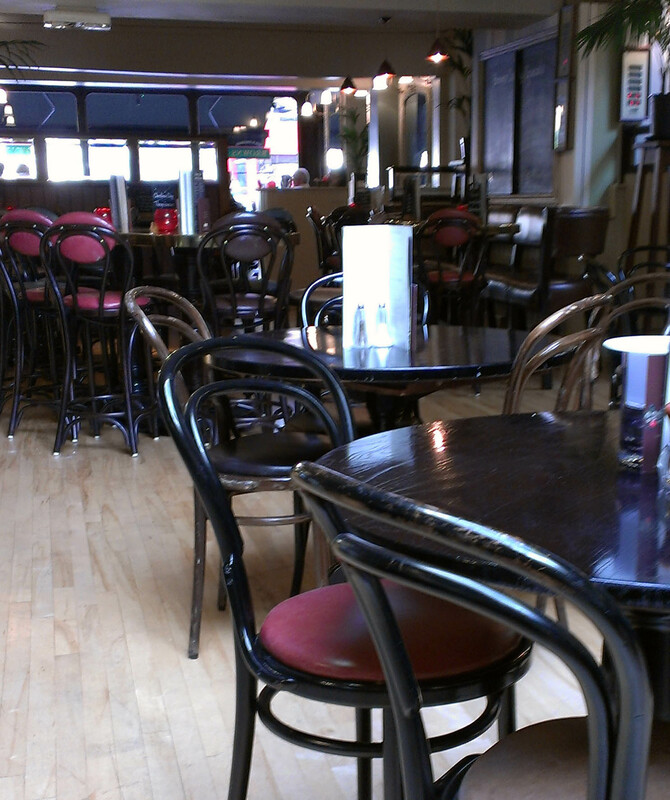 This week the Baberoo and I went to Browns Bar & Brasserie (5-11 Woodstock Road, OX2 6HA) to meet up with our NCT group. The first time the group went to Browns was in May, and our babies have doubled in age (and grown tenfold in cuteness) since that time. It’s amazing that they were ever so small back then! Our meeting was in the late afternoon in order to work around various naptimes (oh, for a baby whose naptimes were predictable! ), so it was high time for a sweet treat of some sort. 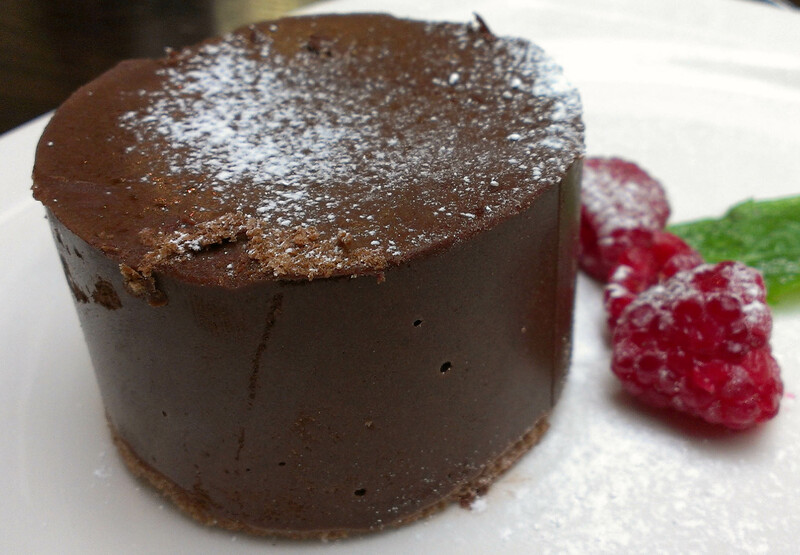 I ordered the Chocolate Marquise (£3), which was described as a rich chocolate mousse, and rich it was. Extremely rich. I’d say it was more like a solid ganache than a mousse. I would probably order it as an after-dinner dessert than an afternoon pick-me-up. Luckily, my Nojito (non-alcoholic mojito) provided a refreshing counterpoint to the chocolate. So, how does Brown’s stack up against my five criteria for baby-friendliness? In my reviews I look at menu, space, ambiance, facilities, and feeding. For more information on how I rate eateries, see my About page. Menu: The food is mainly British favourites and brasserie fare, which includes a fair number of dishes that require both hands free to eat, such as meat mains and substantial sandwiches. However, if you’re holding a baby and need to eat with one hand, try the salads or the flatbreads (although you’ll need to pre-cut those). Space: We didn’t make a reservation this time as we did the first time we visited, so it was a bit of a surprise for the staff to find four baby carriages that needed to be seated at the same table. However, they were gracious enough to open up a closed section of the restaurant just for us so that we had room for our strollers. It also helped that it was a quiet time of day. I can imagine that at busier times there is a lot less room available; the tables aren’t squashed together but they aren’t that far apart either. Certainly you wouldn’t be able to get several prams in at one table during a busy time, but if you’re by yourself with the baby carriage it should be fine. Ambiance: Whenever staff actually attended to us, they were friendly and one of them also chatted to the babies. However, it was quite a while between times when we saw any staff; I wasn’t sure whether this was because we were in a section that was closed, or whether they were very busy, or whether they had gauged (correctly, may I add) that we didn’t really need that much attention (although I’d have felt differently if I’d wanted to order lunch). 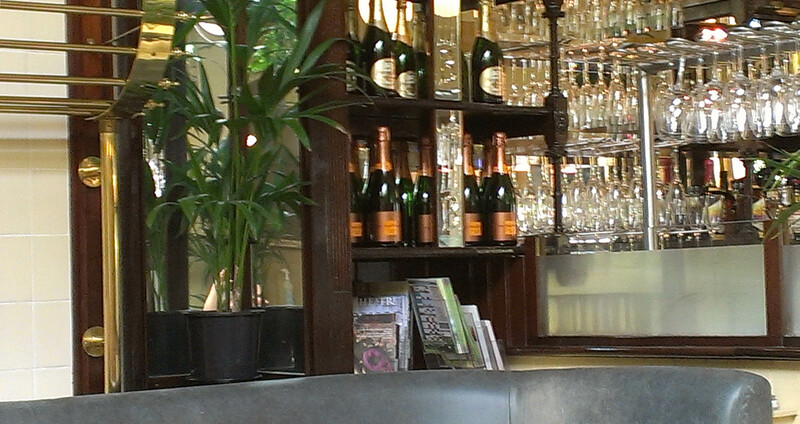 The brasserie is full of potted plants and ferns, which were visually interesting for the babies. At one point two of the babies were playing on the floor, which shows how comfortable we felt putting them down in this space. 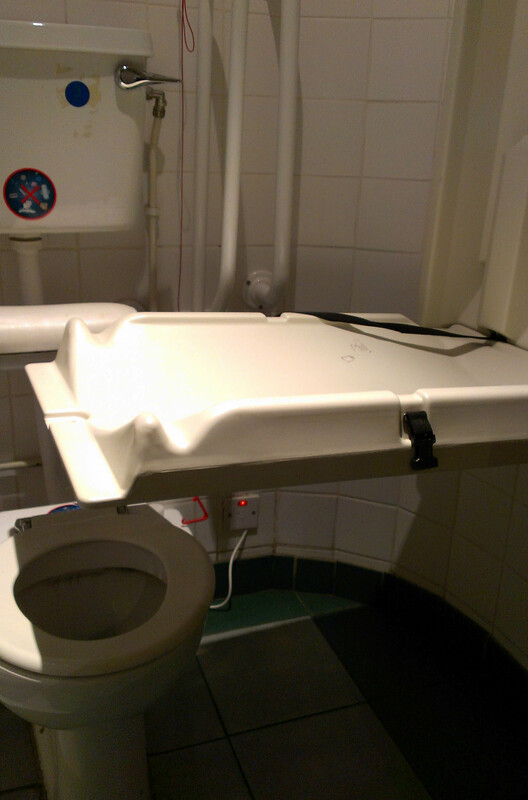 Facilities: The baby-changing and disabled toilet has a pull-down changing table, but nowhere to put your bag. There’s enough room to get a stroller in, although it’s not huge. The lighting is a little dim and the room isn’t as fresh-smelling as one might hope. Too bad they don’t have one of their potted plants in there to add a little visual interest. Feeding: We had breastfeeding, bottle-feeding, and food meals going on for our babies, and all were just fine. The chairs are the standard brasserie kind, which means they’re on the small side and maybe not terribly comfortable for breastfeeding, but there is also some bench seating if you prefer. On my ratings scale Browns gets a 7.0 out of 10. Go during a non-busy time; if you have a whole group of babies and parents getting together definitely ring ahead so that they can make space to accommodate you.